Why does a fast page load time matter? Most people who work day-to-day in digital marketing know that the inner workings of the Google PageRank Algorithm are mostly a complete mystery. Whether or not your webpage will appear on the SERP’s is decided by a mind-boggling 200+ factors. Thankfully for us here at Mackerel Media, there are a number ranking factors under our control that the industry (almost) always agrees can make a difference to how your site will be ranked by Google. It’s likely that you’ve already optimised your site for keywords or authority-giving links, but have you thought about how important page speed is on today’s fast paced, on-demand and mobile-focused internet? According to a recent study, the average page served today is 3.5 times greater than in 2010 – a whopping 2.5MB of code, advertising, images, videos and other rich media that needs to be loaded onto your device before you can watch the latest viral cat video or discover which type of meatball you should be on Buzzfeed. And while slow load times can be infuriating on desktop computers, on mobile devices page load time being anything less than instant can actually be damaging. Google itself shared data with the industry that suggested 75% of mobile device users would abandon a webpage if it takes longer than 5 seconds to load, and 79% of those dissatisfied customers won’t visit your site again. Ad blockers have been on the rise in no small part due to this particular problem, but that’s a blog for another day! Google certainly learnt this the hard way. During a Web 2.0 conference in 2006, Marissa Mayer highlighted that a 0.5 second increase in SERP load-time resulted in a 20% decrease in traffic. That’s right, half a second was enough for the worlds most visited webpage to lose a fifth of its traffic. If that wasn’t enough of a reason to make sure your webpage loads as fast as possible, then let me introduce you to the Gap of Death theory. This rightfully scary-sounding concept is the name given to the time between a webpage users load-time expectations and the actual time a page takes to load. For each additional second a user waits you can expect your conversion rate to drop by 7%. A 7% loss in conversions per second is a nightmare scenario for any business, especially ones that rely on e-commerce websites. Amazon.com techie Greg Linden blogged about the results of internal A/B testing that suggested even very small delays can “result in substantial and costly drops in revenue”. While the effects of page speed are intricately tied to your organic performance, a slow load time can also affect your paid digital marketing efforts too… sorry. 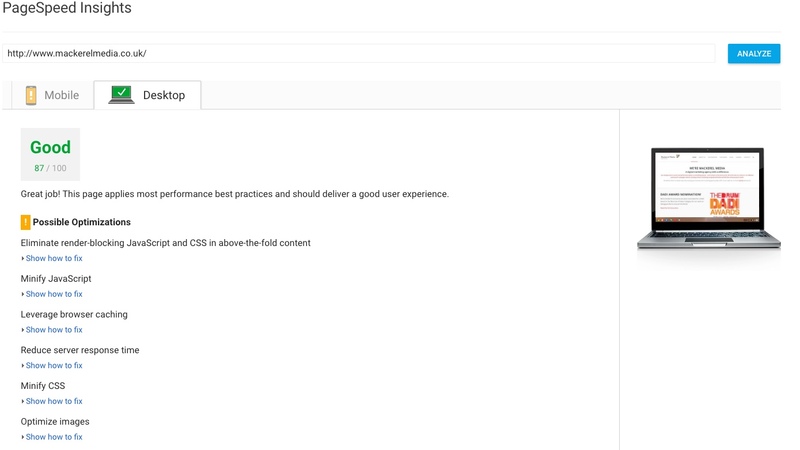 Right here in the AdWords support documents, we can see that “landing page experience” and specifically “landing page load time” can have an effect your overall AdRank – and in turn your average advertising costs and ad position. Now that we know the damage a slow loading page can cause to a business, what can we do to increase page speed? With desktop, the answer is to keep an eye out for bottle necks and reduce their impact – bloated web pages, poor hosting services, 301 redirect chains, analytics code, slow widgets and plug ins or incompatible media. If you suspect that your webpage load time is too high, these are the usual suspects. Mobile sites have a smarter answer – Accelerated Mobile Pages or AMP. The AMP Project is designed to give users a great mobile experience no matter what platform their mobile device is loading web pages from. In essence, AMP pages have found success by augmenting the HTML code that powers a web page and pre-loading as much content as possible using standardised formatting before the user ever clicks on a link. The result is a page which appears to load instantly. 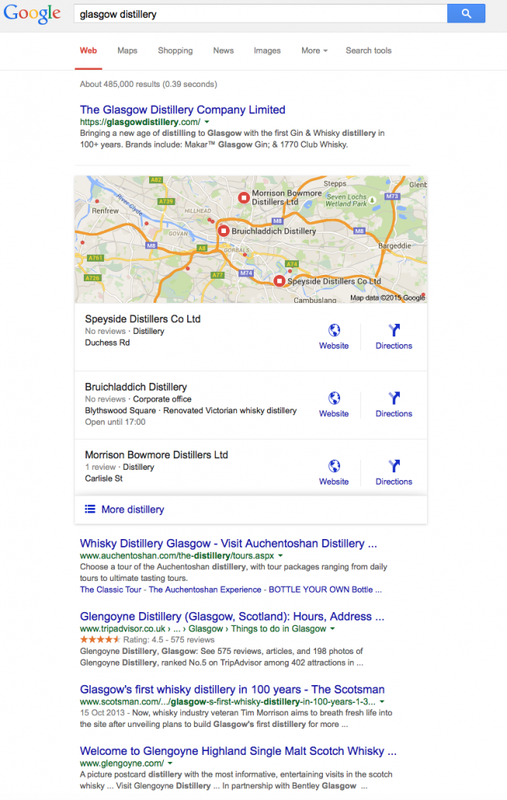 Unsurprisingly, Google is a huge fan of AMP pages – even allowing web developers to identify their pages with SERP friendly discoverable <”amphtml”> tags. However, whilst take up has been quick and widespread, some in the industry who have worked with or have knowledge of the tool for a while are not entirely fulsome in their praise. One commentator reported a bug in AMP that apparently risks inflating Unique User counts four-fold which would cause enormous issues for major publishers. Others were concerned that AMP Pages ‘masked’ the publishers’ URL making it harder for users to either identify the publisher or share a link to the article, but to its credit Google responded by changing AMP behaviour to ameliorate the concern. So what does all of this information teach us? Simply put, slowly loading web pages can reduce the likelihood of a user ever reaching your site, and massively decrease the chances of them completing one of your conversion goals if they do. https://www.mackerelmedia.co.uk/wp-content/new_uploads/Make-your-web-pages-as-fast-as-this-jet..jpg 1000 2102 Jonathan Mowat https://www.mackerelmedia.co.uk/wp-content/new_uploads/MAC-logo-340-1-300x86.png Jonathan Mowat2017-05-22 16:58:322017-05-22 17:06:36Why does a fast page load time matter? First it was ten, then it was seven, and as of today, it’s now three. 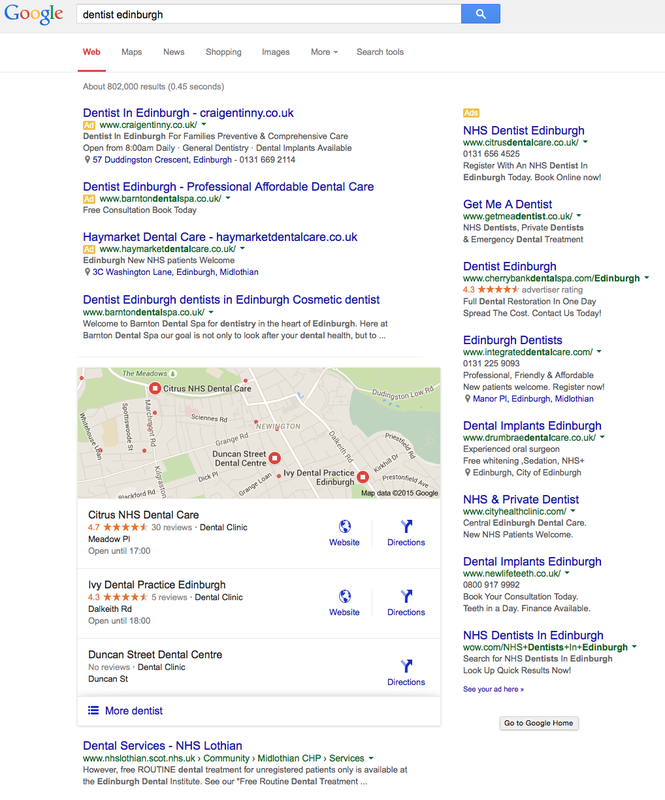 Google has taken a scythe to the Local results pack in its SERPS and appears to now only show three results. Why are Google doing this? Simply, we don’t know for sure, but we do know extensive testing has been taking place on the layout of these results, and the new layout does (to a certain degree) resemble that on tablet and mobile devices, so perhaps it is all being done in the name of a more unified user experience that encourages more users to click (or tap) through to extended listings. There’s also an argument that limiting the available places increases competitiveness and will encourage local businesses who are pushed out of the three-pack to place Ads to recovered lost visibility and traffic. Alongside this, there is of course the ongoing confusion around Google Local listings, how they are organised and ranked, how exactly organisations can improve their positioning and gain more traffic. 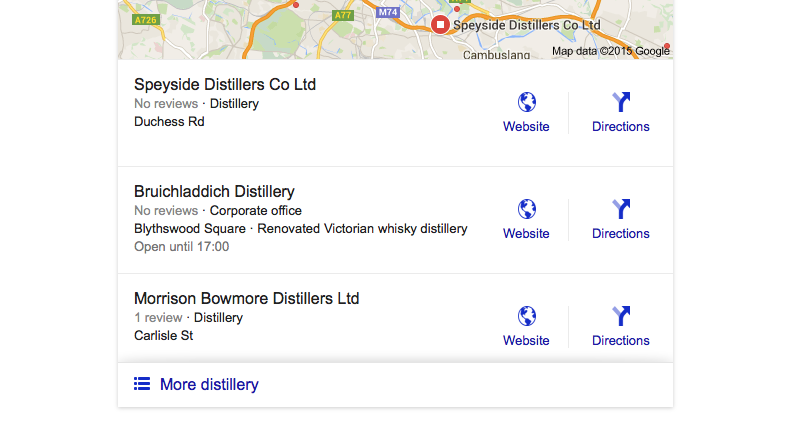 Looking at the three results in the map above tells us little about how results are selected other than by geography – two lack reviews entirely and aren’t even distilleries, unless of course Blythswood Square has changed considerably since I was there last week.